I have loved these dolls since the first time I saw them! I love sewing and my dolls... and these dolls are just perfectly cute with their button eyes! So what did you get for Christmas? 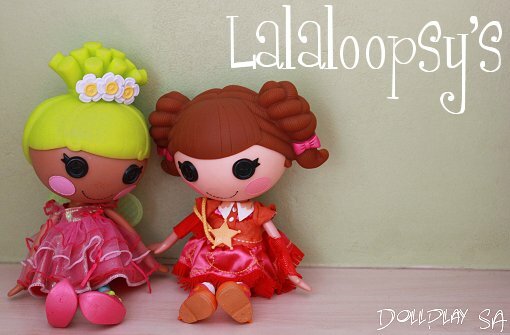 I got a Lalaloopsy doll, Prairie Dusty Trails. She is an adorable little cowgirl. 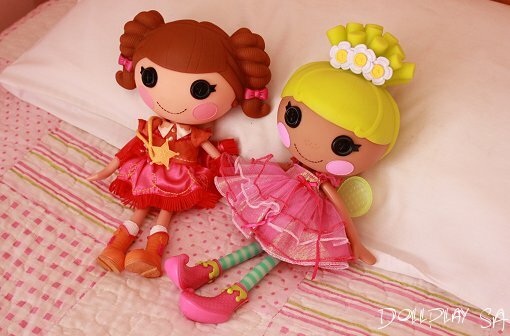 Zoe also got a Lalaloopsy from her grandmother... she got Pix E. Flutters, a pretty fairy doll. Funny thing... When Zoe started playing with her new fairy she commented that she can't sit... nor stand and then laughed at the way she flops over! Yes, these are plastic "Rag Dolls" so they are not made to stand or pose. Zoe loves her new friend! I got a Build-a-bear for Christmas (Bought myself :) - I wanted one for a very long time now & I love her. Her name is Trinity Isabella...that is a very long story! 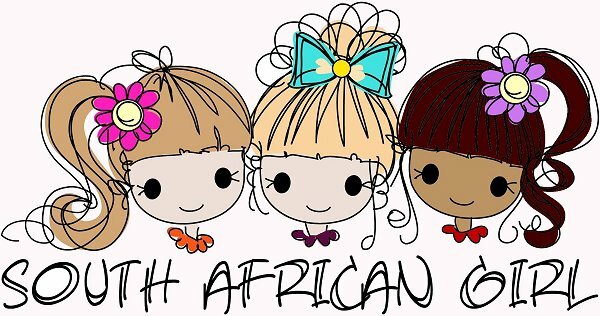 PS Looking forward to see the updates on the SA Girl Dolls!! The BABs are also very cute! Such a fun addition to your collection! I am over excited about the South African Girls... not long to wait now anymore! We are dieing of the heat here in Middelburg. And no rain... it's been exhausting!